Minna de Bouken! 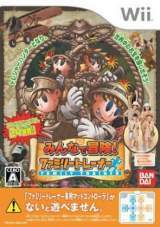 Family Trainer © 2010 Bandai Co., Ltd. Released on October 21, 2010 in Japan.